I had some time yesterday afternoon so I though I'd give my new sewing machine a workout. Each of the 5 kids chose a color to have their embroidery. So the main embroidery is done. Whew, it took the better part of the afternoon. In a week or so, I hope to have a photo for you of all 5 kids wearing their aprons. The countdown is on. 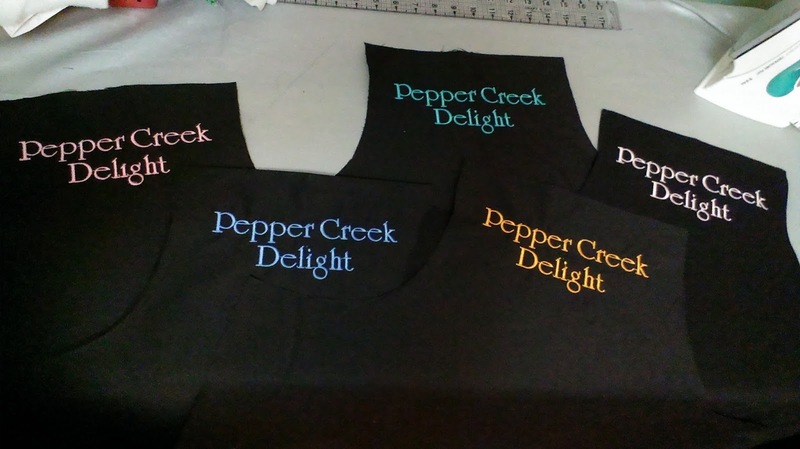 The Grand Opening of Pepper Creek Delight is scheduled for May 21st.